Scotland has many beautiful islands, and it is often hard to choose exactly which ones to visit if you only have a limited time to spend here. Most of you will no doubt have heard of the Isle of Skye, and also places like Orkney and Shetland, but did you know that Scotland has 790 offshore islands, of which 124 are inhabited? We are often asked “what’s the best one to go to?” and I think the answer to this will really depend on your own interests and what you like doing. For some people the idea of being on a remote, tiny, windswept island with no broadband and only a couple of sheep to share the beautiful sea view sounds like paradise, others might prefer a bit more in the way of amenities! With this in mind I thought we would take a look at some of the lesser visited islands, starting with the Isle of Barra. Barra is a remote island, only five miles wide by eight miles long, which lies off the west coast of Scotland in the Outer Hebrides. Barra is home to sandy beaches, a stunning coastline, and a resident school of dolphins. Known as the “Garden of the Hebrides”, Barra has an abundance of flora and fauna including over 1000 species of wildflower. There is just one road, and you can also visit the neighbouring Isle of Vatersay Island, which is linked to Barra by a causeway. The small, close knit, Gaelic speaking community is centred around the main settlement on the island, Castlebay. Kisimul Castle dominates the bay, in surely what must be one of the most stunning settings for a fortification in the country. Perched on a rocky outcrop in the bay and known locally as “the castle in the sea”, Kisimul or Chiosmuil translates as “the rock in the bay”. 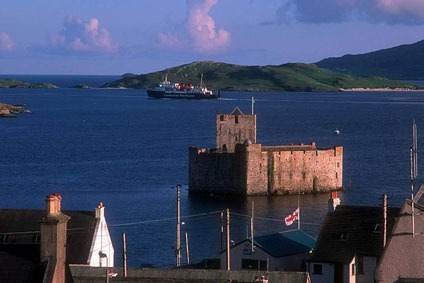 Kisimul is the ancient seat of the Clan MacNeil and the most significant surviving medieval castle in the Western Isles. The Macneils of Barra claim to be descended from Niall of the Nine Hostages, high king of Ireland in the 5th century and great grandfather of St Columba. The Macneils were granted the island of Barra in 1427, and it is likely that the Clan Chief of the time, Gilleonan Macneil, ordered the building of the castle around that time. 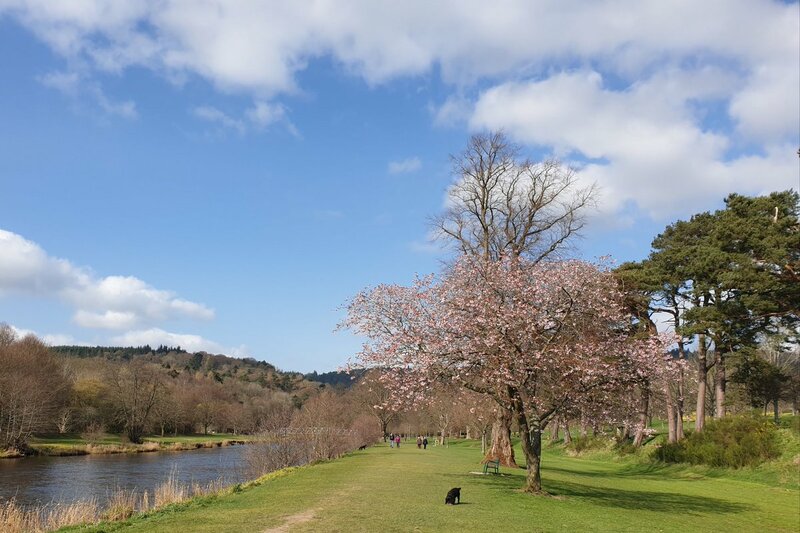 Today you can follow in the footsteps of the clansmen, by taking the small boat out over the water for the short journey to the castle, and enjoy the spectacular views of the bay from the tower house battlements. For some visitors, the journey to Barra is nearly as much fun as actually visiting the island itself! There is a ferry service from the mainland (a journey of around six hours) and also connecting ferries to the nearby island of South Uist, but probably the most popular way of arriving in Barra is to fly. The reason for this? Barra is home to one of the world’s most stunning airports – the wide, shallow beach of Traigh Mhor is used by aircraft as a landing strip, and Barra is reputedly the only beach airport in the world to be used for scheduled services. Flight times change from week to week, as aircraft can only land at low tide. Surely a simply spectacular way to start your Scottish island vacation! Click here to see a short BBC Scotland news item on flying into Barra, or check out the landing itself here.